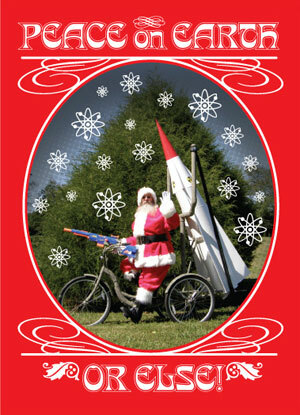 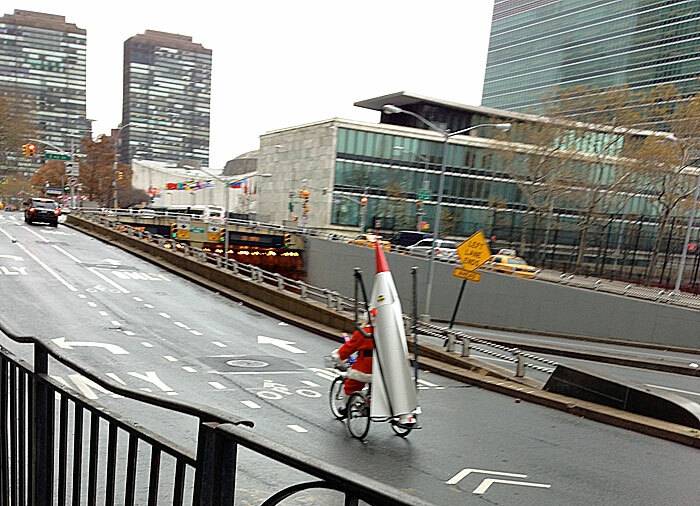 On November 13, 2012, Santa Claus (aka Joey Skaggs), armed with a mobile rocket launcher and accompanied by an army of elves, targeted the United Nations in New York City. 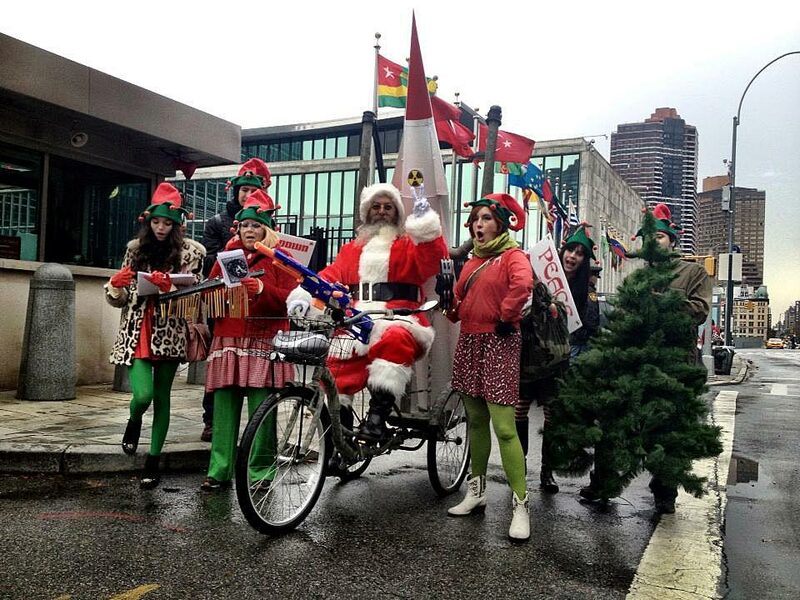 and marched West on 42nd Street to Times Square. 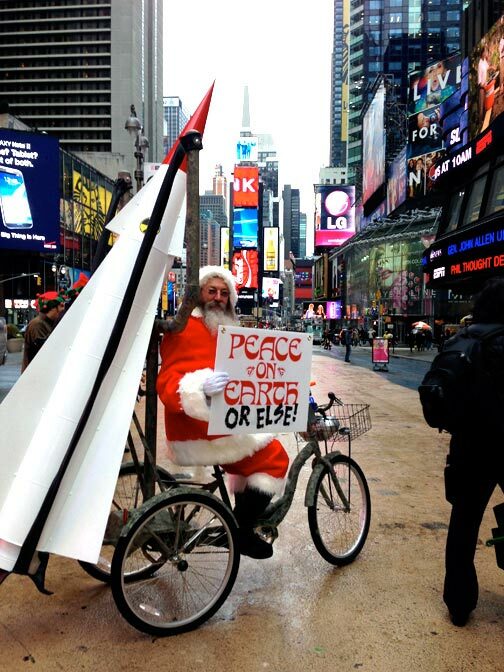 His message: World Peace or else! 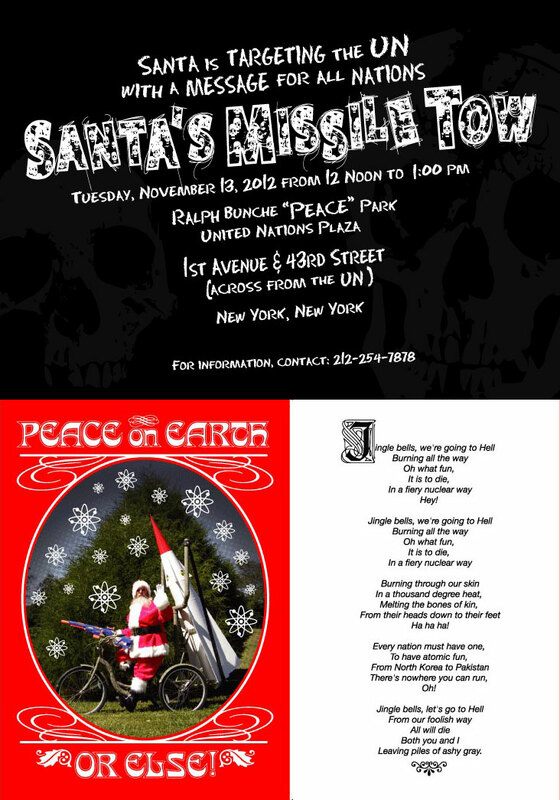 To announce his planned event, Skaggs sent hundreds of announcements, camouflaged as Christmas cards, to diplomates from United Nations consulates in New York and to their media representatives.